Visit our Longwood Showroom today! 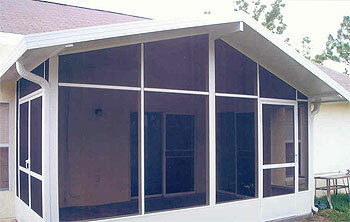 A home addition, Florida room, screened patio or screen room can make all the difference in the world. 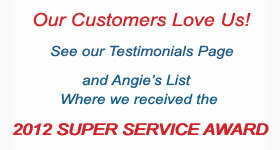 Creative Remodeling is an A+ Rated Better Business Bureau business and we are rated tops on Angie's List as well! 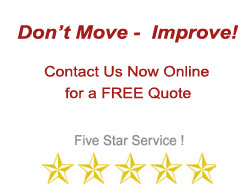 We make remodeling easy and we guarantee our work. Don't settle for other companies when you can have the best. 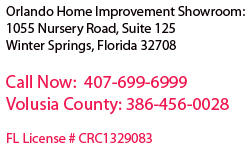 Creative Remodeling of Orlando will handle your project quickly and professionally. 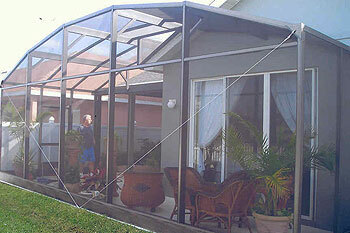 We handle the entire process, from planning and permits through HOA approvals and final completion. If you can describe it, we can build it. Bonus Rooms - Pool Rooms - Game Rooms - Home Theater - Home Office - Craft Rooms and More! or visit our Longwood Showroom today.